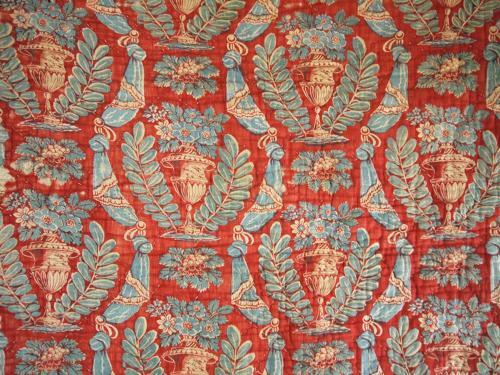 French 18th century block printed cotton piece originally from a larger quilt.Possibly a toile d'Orange, it is a wonderful design of flowering urns and knotted swags of fabric. Great colourway combination of brick red and petrol blue. Some damage with the wool showing through in places.